Traffic zips across the high desert where the towering San Francisco Peaks dominate the western horizon, often with snow covered crowns. Adding stark contrast to the desert landscape is the graffiti covered ruins of the long abandoned camp ground, and the weathered stone facade adorned with faded lettering that spells out mountain lions. The ruins and the scenic canyon might spark a bit of conversation to break the monotony of the road but soon thoughts turn toward Flagstaff or Winslow. The narrow chasm of Diablo Canyon that briefly impeded the flow of progress in the 1880’s doesn’t even slow the speed of travelers on I-40. 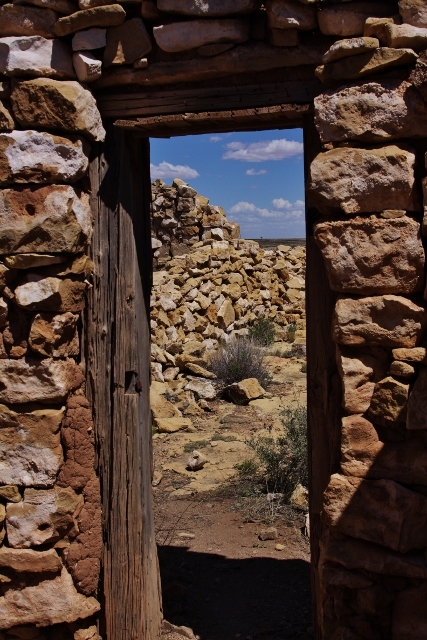 A few travelers, especially Route 66 enthusiasts will take the time to wander among the ruins. A few will even take the time to learn the story of a beautiful place where laughter and death once came easily. Even on a sunny winters day when snow clings to the stones in the shadows, there is a sense of darkness among the scenic ruins of Two Guns. 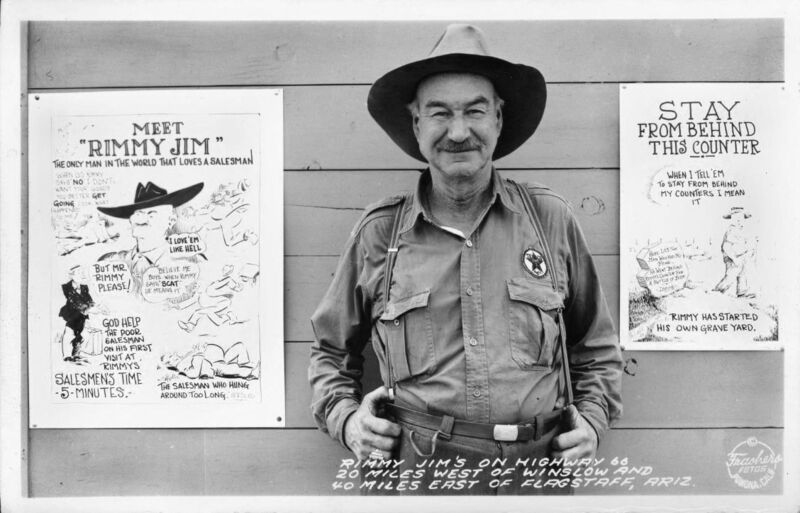 Even when the laughter flowed freely here in the era of practical joking “Rimmy” Jim Giddings, there always seemed to be an almost palpable pall over the canyon. In the early to mid 1870’s, Navajo warriors decimated a band of marauding Apaches in caves at this site in Diablo Canyon. Those “death caves” with a bit of fabrication and creative marketing, became the cornerstone for Two Guns. Here, legend and fact blend together seamlessly. In 1881, the Atlantic and Pacific Railroad went broke trying to bridge this chasm and carve a tunnel through Johnson Canyon. The railroad construction camp that sprung up a few miles north of Two Guns quickly developed a reputation as the most violent place in the Territory of Arizona, and some of the murders that took place there contributed to the rise of legendary lawman such as Bucky O’Neill. In 1914, the spanning of Diablo Canyon and Padre Canyon by modern concrete bridges allowed for the rerouting of the Flagstaff-Winslow Highway that also served as the course for the National Old Trails Highway. Edsel Ford and his companions, and more than 15,000 fellow travelers, would cross those bridges in 1915. It was that ever increasing flow of traffic and the potential prosperity that it represented which led Earl Cundriff, a WWI veteran, and his wife Louise to file claim along the canyon at the bridge crossing. By 1922, the Canyon Lodge complex that provided all manner of services for travelers was a booming enterprise. 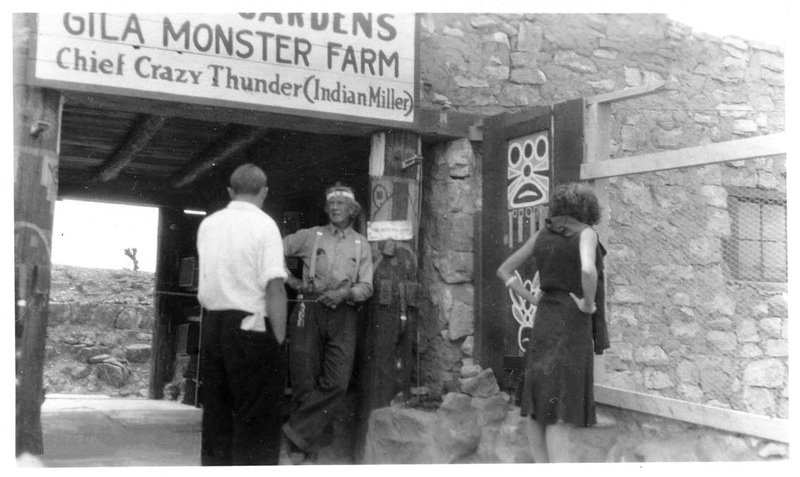 Three years latter, on land leased from Cundriff, Harry Edgar “Indian” Miller, a self proclaimed Indian chief, built Fort Two Guns, Chief Joe Sekakuku transformed the old death caves into an attraction, and “Rimmy” Jim Giddings built a Texaco station and cafe/trading post across the highway from Miller’s place. Diablo Canyon crossing was a very busy place. Disputes over the lease, and rumors about the relationship between Miller and Louis Cundriff, fueled heated arguments that became a frequent part of life at the canyon. On March 3, 1926, the arguments took a more violent turn and when the smoke cleared Earl Cundriff lay dead in Miller’s home at the Two Guns complex. The feud, however, did not end with Cundriff’s death. In June, the Coconino County Superior acquitted Miller, but Louise Cundriff and two associates are soon charged with destroying Miller’s promotional signs along what is now Route 66. Then, in March 1928, Miller files a legal challenge to the Cundriff homestead at the canyon. In July of that year Miller stands trial for defacing Cundriff’s headstone. In 1929, under suspicious circumstances, the Cundriff store burns to the ground. 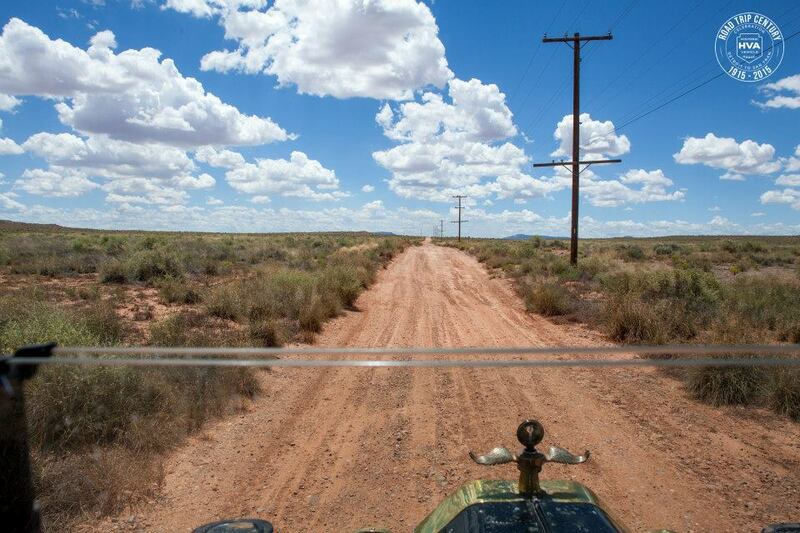 Finally, in 1930, Miller moves to the Painted desert where his sister owns a trading post along the highway, and Louise Cundriff marries Phillip Hesch, and expands the Two Guns zoo complex. 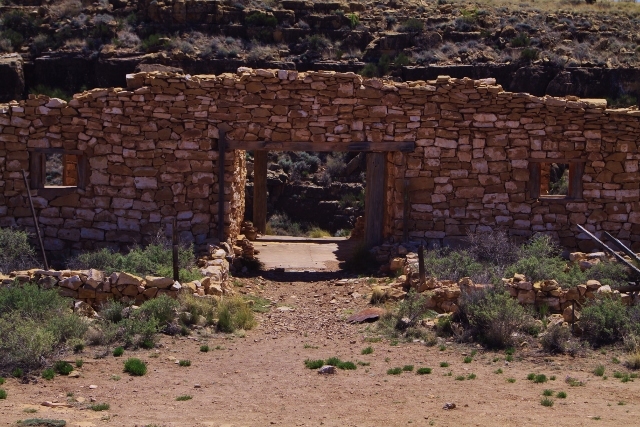 With realignment of U.S. 66 to a new steel bridge spanning the chasm in 1937, the original Two Guns complex, and Gidding’s trading post is abandoned. A new incarnation of both businesses continued to part travelers from their money. In Winslow, the now legendary Giddings, the showman of Diablo Canyon, died suddenly in 1943, and in early 1947, realignment of the highway forces another relocation to ensure that the business survives. The zoo operated as an attraction until 1950, and in 1951, the Two Guns trading post complex had new owners. This was the same year the Harry “Indian” Miller died at his trading post in Lupton, Arizona. With passage of the Interstate Highway Act, the death knell sounded for places like Two Guns. Still, Ben Dreher acquired the property and laid plans to revive the complex and reopen the zoo in 1963. Disaster still plagued the canyon. In 1967, I-40 replaced Route 66 and business plummeted. In 1971, a fire in the underground gasoline tanks decimated “Rimmy” Jim’s old facility that had survived as a Texaco station. The final chapter was written in 1975 with the opening of a KOA campground, and Shell station at the I-40 exit just to the east of Diablo Canyon. A decade latter, all was abandoned. Today the scattered ruins perched on the precipice at Diablo Canyon are a favored photo stop for legions of Route 66 enthusiasts. And in the winds that swirl the dust and dance through the empty rooms there is the faintest whisper of laughter and crying.